Mark Emmett co-founded the Guerneville Community Alliance to give residents a greater voice. Mark Emmett has been looking out for Guerneville since he moved there 25 years ago. 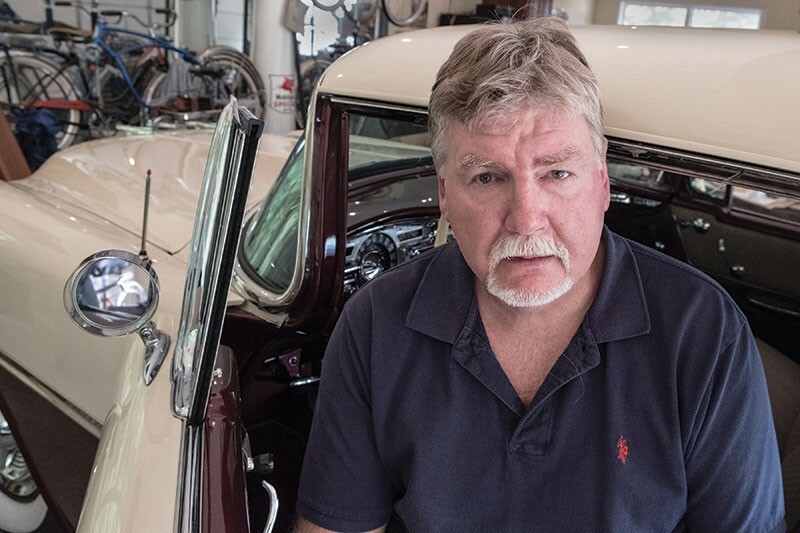 After retiring from the Alameda County Fire Department, Emmett worked as a general contractor until two back surgeries made him give up manual labor. But he didn't slow down. He was elected to the Russian River Fire Protection District board of directors in 2014. One of the first things Emmett noticed upon his new appointment was that 20 to 25 percent of the ambulance calls the fire department received were for the homeless. It takes at least two hours for paramedics to transport someone from Guerneville to a hospital in Santa Rosa and then drive back, during which time there's no ambulance available in town. Since that realization, Emmett has been at the forefront of trying to remedy Guerneville's homeless problem and others. "The people who live and work here needed a voice," Emmett says. "People need to have an avenue to speak up instead of feeling more neglected." With that in mind, he co-founded the nonprofit Guerneville Community Alliance to work on solving community problems. Homelessness is at the top of the list. At one of the group's meetings on homelessness in January, more than 500 people showed up. One of the group's first projects was to identify homeless encampments and clean them up with the help of Guerneville's Clean River Alliance. "Our goal is to help and provide services for the people who want help, who want to change, and keep people safe by helping control the people who are abusing substances and engaging in other illegal behavior." Through this initiative, the organization has worked with the sheriff and private property owners. "We've created relationships with the supervisors, Efren Carrillo and now Lynda Hopkins and with law enforcement; we were even approached by [Sonoma County Sheriff's Office] Captain Mark Essick, who said, 'We really need to connect to your organization,'" Emmett says. "We're working to provide services to people who want help. And what we've done with Guerneville law enforcement, it's really working for the drugs and illegal stuff. The demographics of the town are changing. It's not just a vacation spot anymore. We're trying to meet that." Emmett was pleased that the Guerneville Community Alliance was able to broker a meeting with local merchants, the sheriff's office and the homeless. "It was so law enforcement and the merchants could hear their stories—it was very dramatic." Beyond homelessness, Emmett wants to work with other river towns to share ambulance services, and he has his eyes on projects to improve air quality. "I simply love the community," he says.